Being an Airbnb host opens you up to a lot of new, and exciting opportunities; it allows you to meet new people, form connections in your community and around the world, and it allows you to share the city you love with visitors, while providing a source of income. However, the hassle of maintaining property, organizing bookings, and scheduling time to meet guests can certainly be a downside to being a host. Whether you’ve been an Airbnb host for years, or the prospect of becoming one seems too daunting, there’s no doubt that hosting can be a lot of work. The reality is, many of us are simply just too busy to keep up with the demands of hosting. However, the good news is you don’t have to! Automating your business or using an Airbnb management company can ensure that all your Airbnb needs are met, with minimal effort on your part. With the right strategy, you can be an AirBnB Superhost without making it your full time job. Perhaps the most inconvenient part of hosting an Airbnb is meeting guests multiple times per week, at odd hours to hand off keys. The easiest way to eliminate this is to automate your Airbnb. We have evaluated and tested various methods of automating an Airbnb listing and found the Pros and Cons of each. Exactly as it sounds, a lockbox is a lock with a box on the inside that holds your keys. Simply tell guests the access code, and they’re in! Low Maintenance – As long as the code works, and the keys get returned, your work is done. Affordable – Locks typically range between $15-$40, and can be purchased on Amazon, or at Walmart or Home Depot. Ease – The keys stay on site, making things easy for your guests, and ultimately, easy for you. Rules – Depending on the rules and regulations set forth by your apartment/property, you may not be permitted to have a lockbox, and run the risk of it getting cut off/losing your Airbnb privileges. Size – Lockboxes tend to run on the small side and finding one to hold a fob remote may be tricky. Another method is installing a keypad on your door, and sharing the code with guests upon arrival. Low maintenance – Apart from sharing the code, and ideally changing it often, this process requires very little maintenance from the host. No keys – If there are no keys, then there are no keys to lose! Price – Keypad locks typically cost between $100-$300 dollars, not to mention the time to install. However, this cost will carry you through for at least a few years, or until the keypad wears out or the warranty expires. Changing the code – Although, most keypads can be re-coded, this process typically needs to be done in person, and can be a huge inconvenience if you have frequent guests. Trust – Alternatively, you can opt to change your code less frequently, however this leads to the potential issue of many people having your key code. Malfunctioning – We run this risk with all electronics, whether it’s from worn out batteries or a circuit issue, malfunctioning of electronics needs to be considered and troubleshooted before committing to a keypad lock. A key exchange company with locations set up all over the world, with lockboxes inside merchants. Locations are most often coffee shops and convenience stores, like 7-eleven. You share your private code, the guest picks up their key, possibly along with a cappuccino and cookie, and they’re on their way. Reliable – 24/7 access for guests, and 24/7 support for you as a host. Affordable – Unlimited pick-ups, drop-offs and storage memberships are about $20 per month/per key. 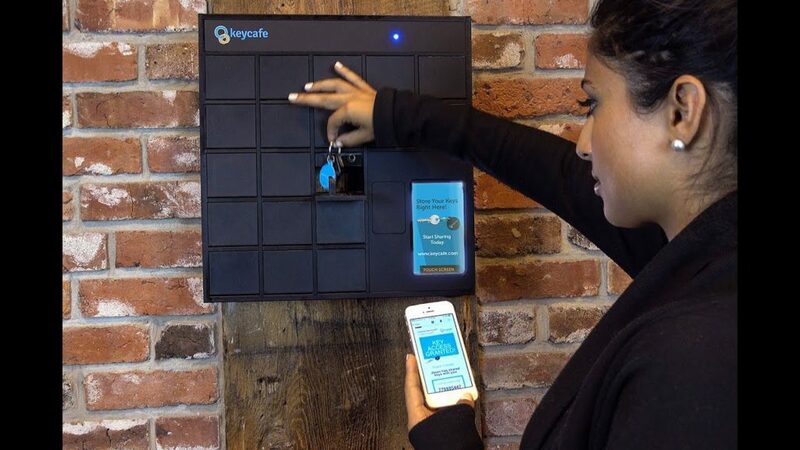 Automated – You can set up Keycafe so your guests automatically are authorized to pick up keys once they book. Just send them instructions, and you’re all set. Location – Using a Key Cafe requires setting up another location for your Airbnb guest to go to, which may be inconvenient when carrying baggage or paying by the minute for a cab/Uber. The experience of your guests affects your overall rating as a host, so you want to streamline their experience as much as possible. Returning the key – Unlike the two previous options, this key is not left on site. There’s an added hassle of guests having to return the key, as well as the risk of it not getting returned at all. Availability – Keycafe isn’t available everywhere, so there may not be a pickup or drop off location that is convenient for you. In-person care – As mentioned above, there’s comfort in face-to-face human interactions and feeling cared-for by others will help enhance the experience of your guests, and land you good reviews. Individual person – At the end of the day a co-host is still a single person with the same concerns as the main host. Unless your co-host is able to dedicate full time to the properties they manage, attend to guests, maintain the property, and resolve issues and emergencies, you’re not fully covered. Choose a company whose full time job is to care for and manage your vacation rentals. 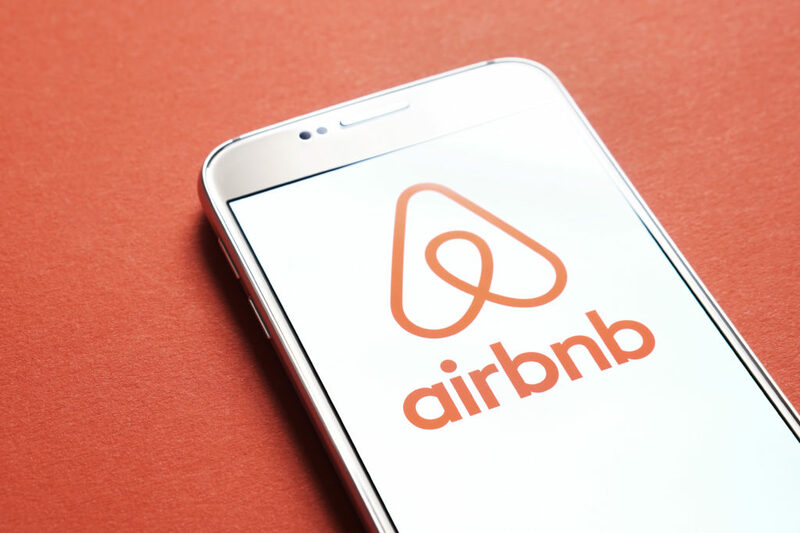 Not only does this approach remove the inconvenience of an in-person key exchange, Airbnb management companies are able to take care of all the in-person needs a guest may have. Availability – 24/7 availability for your guests, which means, as a host, you don’t have to be available at all. In-person care – Not only does a management company provide face to face human contact, but they are professionals who are able to make your guests feel comfortable, welcome, and above all, cared for. The value of this kind of hospitality cannot be overstated. You’ll find it increases your ratings, makes your property more profitable, and lowers the risk of guests filing a complaint or causing damages. We have found that our in-person guests are better guests overall because a human relationship has been established. Trust – Vacation rental management companies are able to vet guests to add an extra layer of trust for who enters your home. It’s also worth noting that using a company enables you as a host, to vet and review certain guests to ensure you’re happy with questionable bookings. Increased Revenue and Account Management- A management company can take control of your pricing and use expert techniques to gain more revenue from your Airbnb listing. A professional can help you get more for each night rented. In this way, their service can pay for itself. Maintenance – Of course they’re available to hand over keys, but companies also handle issues ranging from appliance malfunction to changing light bulbs, and bigger issues that require a coordinated effort. Ease – They manage your Airbnb professionally, with proficiency and with zero effort on your part. Of the 3 options for managing your Airbnb, this one asks the least of you as an owner. Just hand over your keys, and watch as your rental property flourishes. Full time Staff – No need to worry about one person not meeting the demands of your property and its guests. The company enables reliable, in person contact, without the complications of someone else’s life getting in the way of taking care of your Airbnb. If you want all the details of what Airbnb Managers can do for you, check out are article called 7 Reasons Why Airbnb Managers Can Help You Run A 5-Star Operation. Whether your rental is a source of income, or an extension of your home to others, automating your Airbnb allows you to fully enjoy the benefits of being a host. Using a key transfer system, a co-host, or a vacation rental management company allows you to maximize your time and your property. Airbnb management companies like Heart Homes bring the highest level of care for your home with the least amount of effort on your part, while bringing security and oversight to the highest level. Contact us at Heart Homes if you’d like to know more about our 5-Star Airbnb management service. Heart Homes only works with licensed owners in Vancouver, Whistler, and Tofino British Columbia. If you’d like help getting a license in Vancouver, contact us or check out our article on Airbnb Taxation in Vancouver.